Volvo Car Corporation (Volvo Cars) has approved the use of Enviro's recycled carbon black chassis plugs that AnVa Polytech supplies the car manufacturer. Volvo’s chassis plugs will be made from environmental rubber based on 100 percent recycled carbon black. “This is a very important and major step forward for Enviro. The approval follows a very long test process that clearly showed our material functions as an excellent substitute for virgin carbon black. 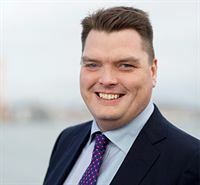 And of course, the fact that Volvo Cars – a world-leading automotive company – arrived at this conclusion is of major significance," says Martin Hagbyhn, Enviro’s CEO. Carbon black is a commercial carbon powder that constitutes around one third of the ingredients in a rubber tyre recipe and it controls significant characteristics in the material such as durability and tensile strength. Enviro's recycled carbon black means a carbon dioxide reduction above 60 percent compared to the use of virgin carbon black. The approval is the result of a great number of material tests. The tests verify that the products based on recycled carbon black meet Volvo's technical standards. “This is a significant commercial breakthrough and it will open up a very large market for us. 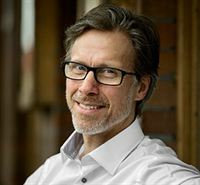 We are in contact with a number of major rubber manufacturers, and now that we’ve clearly verified that recycled carbon black meets Volvo Car's stringent quality standards, we're counting on even greater demand as more companies will follow Volvo car's lead and contribute to a sustainable rubber industry,” says Martin Hagbyhn, Enviro’s CEO. The fact that Volvo Cars is now adopting environmental rubber that uses our recycled carbon black in its production is a major commercial breakthrough. 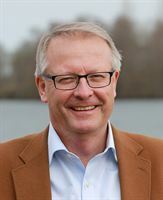 Martin Hagbyhn, CEO at Scandinavian Enviro Systems.